If you’ve followed my blog for a few years, you’ve probably heard me mention the name Morgan Carper. A friend of mine from Houston connected me with her back when I first started my blog, and we’ve stayed in touch ever since! Two years ago while in NYC, I finally had the opportunity to meet her face-to-face. Not only are her collections beautiful, she’s such a gem. She’s been kind enough to gift me a few pieces over the years, most recently this fringe sweater! The sweater is pretty heavy, which is perfect for the crazy cold temps we’ve been experiencing here in Dallas this last week! The length is great too, as it just barely covers my bum. Ideal for wearing with your favorite skinny jeans and leggings! It also comes in this gorgeous ruby shade. So stunning! If your eye is on spring, definitely be sure to take a peek at this collection. I’d love the striped poncho or the breezy cornflower blue dress for a beach vacay! this sweater is so cute, love this look! Love! 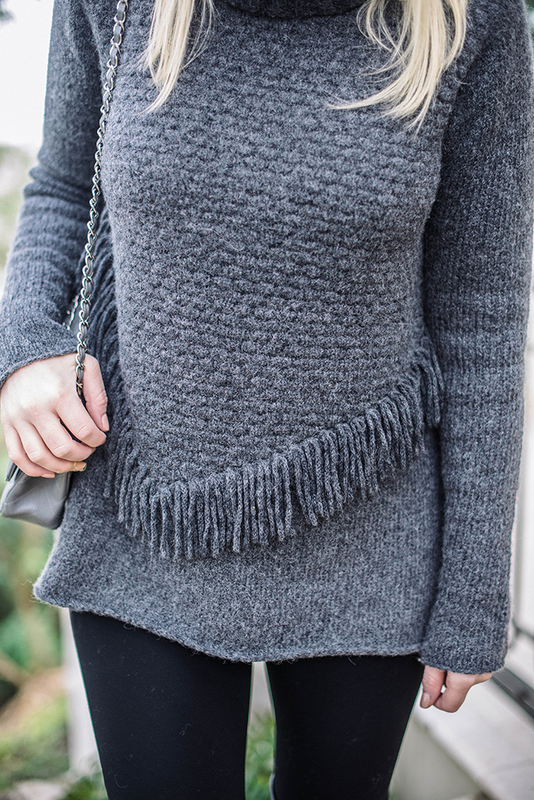 I just bought a cozy fringe sweater from Banana Republic and can’t wait to wear it! What a gorgeous sweater! 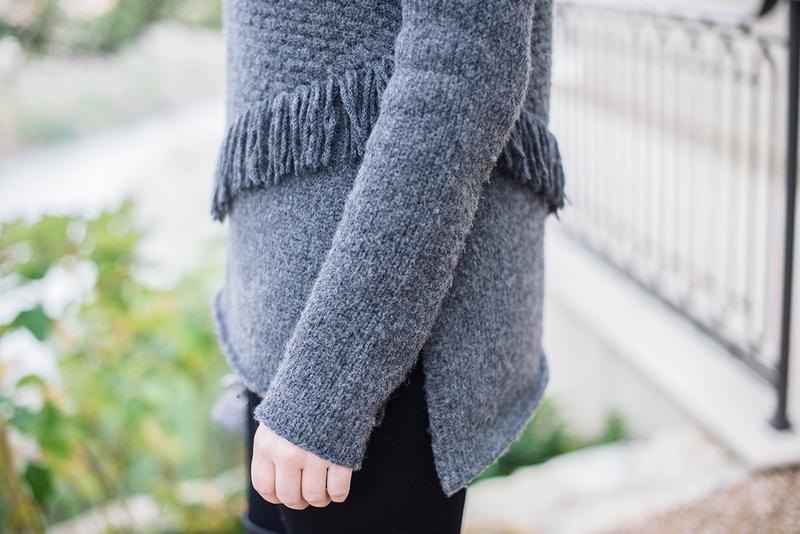 I love how it’s simple and cozy yet the fringe detailing makes it feel special. You look amazing by the way Merritt! So cozy yet still looking polished and pulled together. I love the fringe detail! What a pretty sweater! Love how you styled it. Those boots look great on you! I adore the sweater Merritt. You look great! Have an awesome weekend! LOVE those Stuart Weitzman boots! so chic on you!